The 2018 Tata Nexon XT is a stylish and extremely rugged small SUV vehicle, with an extroverted bodywork and a roofline similar to that of a coupe. Therefore, although it is not particularly attractive to look at, it has its upsides. Overall, it seems to try to impress too hard, which is not always a great thing. On the inside, it has a set of very comfortable and generous seats. The entertainment package is solid, while its clutch is rather light. The overall space in the cabin is impressive even in the second row of seats. For a city drive, tune it to City mode to keep things easy and enjoyable. On the interior, there is an umbrella holder in the front doors, a laptop or tablet holder in the glove box, carrying hooks in the boot, bottle holders in all doors, theater dimming lights in the interior, soft roof liner, and a rear central armrest with 2 cup holders. Regarding the infotainment, there are 4 speakers, a call reject option, Android Auto, Tata Smart, and audio and voice controls on the wheel. From the outside, it is similar to other SUVs in its class. There is nothing out of the ordinary on the monocoque chassis. Its dimensions are 3994 x 1811 x 1607. The exterior features sporty headlamps, LED taillights, 16-inch wheels, roof rails, and wheel covers. Tata Nexon is available in various color combinations ranging from orange and red to silver and blue. 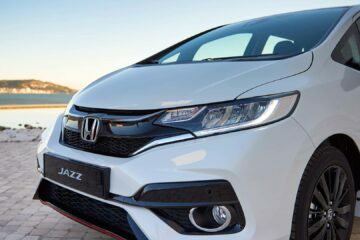 The car does 21.5 kilometers per liter when powered by a 1497 cc manual Diesel engine, or 17 kilometers per liter with a 1198 cc manual petrol engine. There is also an automatic version. The engines produce 108.5 horsepower, and they will get you where you need to be without any problem. Safety wise, the car has ABS with EBD, front and rear fog lamps, and two airbags. On harder surfaces like bad roads filled with holes, the Nexon has no problems. It has a great suspension, while its chunky wheels and tires do a great job along the way and look urban as they do it. The steering is not too much assisted, but it could use a more muscular wheel. 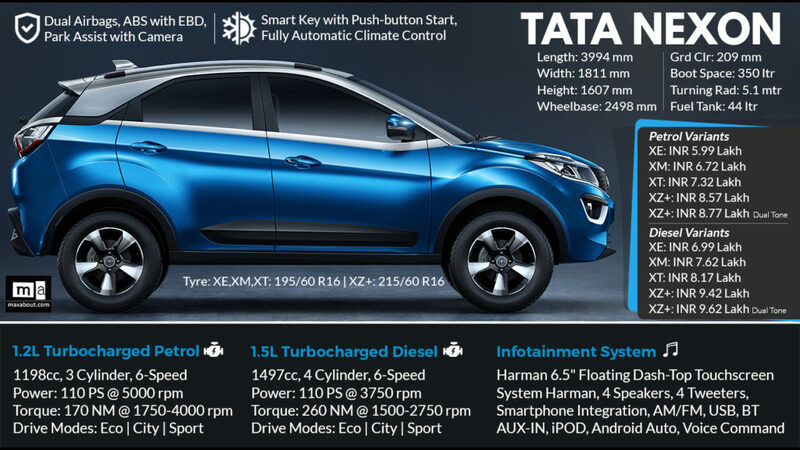 The price of the Tata Nexon 2018 is north of Rs. 6.46 Lakhs, depending on the model and the package. Stan Lee Net Worth 2019 – How Much was the legendary comic book artist worth?